Access to real-time, accurate information about the current state of the utility’s network is critical to making intelligent decisions, especially during outages. Many utilities may already have the geographic information system (GIS) technology in place with a long-term vision of enabling this, but often that goal remains unrealized. GIS is typically used to map a utility’s assets and create a spatially accurate digital representation of the transmission and distribution network. 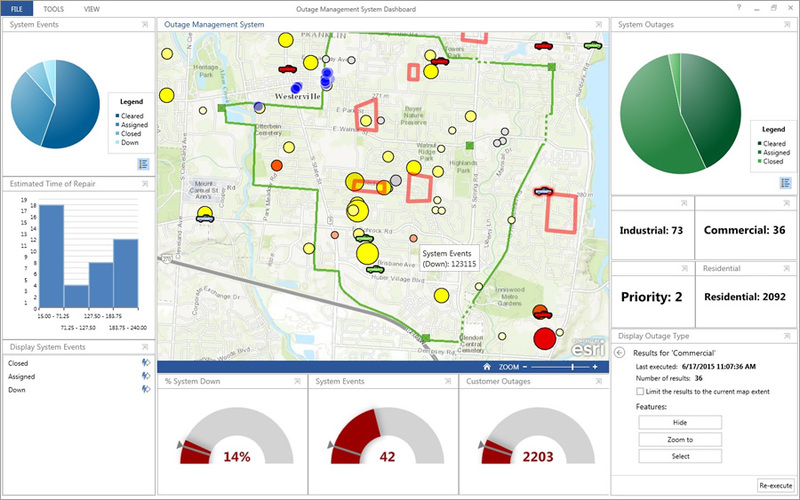 Significant advancements in GIS, as well as in cloud and mobile technologies, now make it possible for utilities to leverage those investments in cloud-based operations dashboards—accessible from anywhere, on any device. GIS can be used to mash up information from many systems into a single portal that provides decision makers across an organization with a holistic view of current system health at a glance. 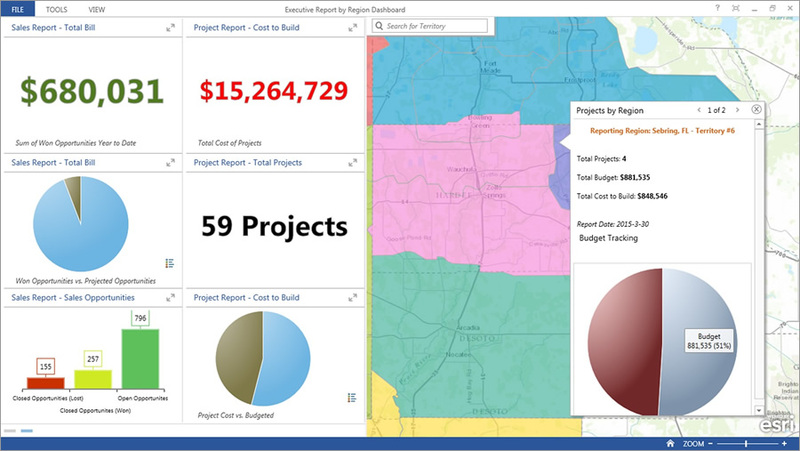 The dashboard provides intelligent decision support by incorporating various datasets for rapid in-depth analyses. 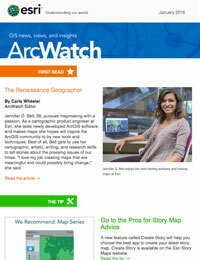 The dashboard should consist of an interactive map with real-time information from numerous data sources. These include the utility’s operational systems such as the outage management system [OMS] and advanced metering infrastructure [AMI], business systems such as financial and customer information systems, and news and weather feeds from sources outside the utility. It must also display charts, gauges, and histograms that provide valuable statistical context for outages. 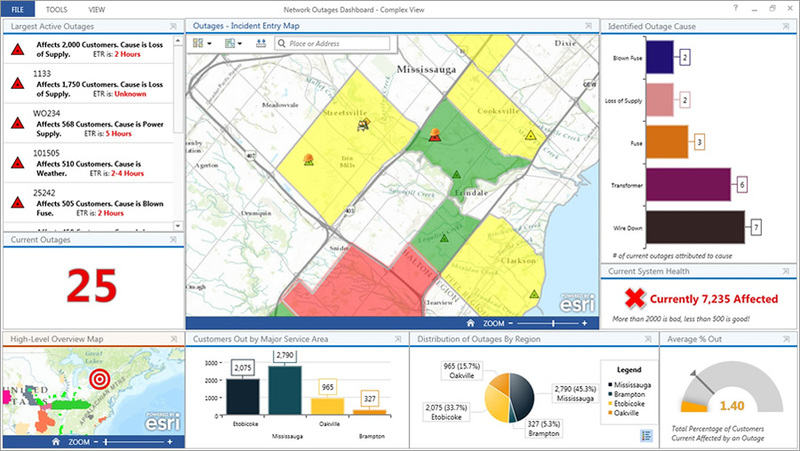 Further, the dashboard can be built into an overall framework that integrates information from the utility’s OMS, AMI, supervisory control and data acquisition (SCADA), and other real-time systems; displays the data through the operations dashboard; and sends outage notifications to customers via social media, email, and text messaging. This article was originally published in Electricity Distributors Association’s The Distributor magazine. For more information, visit esri.ca/poweroutage.